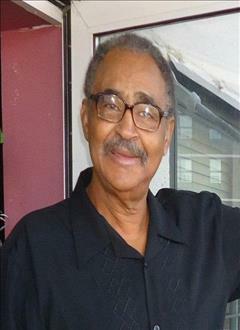 Obituary for Tyrone Pettiford | Collins Funeral Home, Inc.
Tyrone Pettiford was born September 27, 1939 to Herman Pettiford and Swanie Alston in Mebane North Carolina. He was the third of five children. Three of his siblings presided him in death, leaving one remainder of the five, Ramona. Tyrone fell asleep in death March 19, 2019. Tyrone, and to anyone close to him aka Pet, spent his early years in North Carolina. He headed to New York City a year after he graduated High School at the age of nineteen. Shortly thereafter he began working at the United States Post Office. No not as a postal delivery person but in the inner workings of postal operations, where he built his career. It was on the job site, where he met the love of his life, Mattie, whom he lovingly called "Matay." They were known as "The Couple." They literally worked side by side. They were as close as a stamp glued to an envelope . Tyrone was a kind, quiet man with a good sense of humor. Even though he had a reserved manner. It did not prevent him from being a world traveler. Alongside with his adventurous wife, they traveled the world. Most start their travels visiting the islands or taking cruises. Not " The Couple". They visited five of the seven continents; Africa, Europe, Asia, North and South America. In Africa, they visited Senegal, Nigeria for pleasure and also to Liberia to visit their daughter Stephanie. They took several trips to Europe; where France seemed to have been a favorite destination. We cannot overlook the trips to Asia. " The Couple" visited Singapore, Korea, Taiwan and Japan. "The Couple" decided to do some exploration closer to home and bought timeshares in Mexico and other parts of the US. We also don't want to fail to mention the many cruises to various islands or trips to visit family. Tyrone fell in love with the town of Camden, South Carolina where he and Mattie built their beautiful " retirement " home. Anyone close to our beloved Pet knew that he had a sweet tooth. To many fruit cake developed a bad reputation. But Pet loved them. Next time you see one , think of him. Tyrone leaves behind his beloved wife of over 50 years , Mattie Pettiford, Son, Steve Moore , daughters, Dolores Parsons, Sharon Pettiford and Veronica Moore. Stepdaughter, Shirley Neville. Grandchildren Duyrea Holley, Donique Moore, Shamar Holley, Mashona Lofton, Bakare Hatap, Mattaniah Yip, and Steve Moore ll and a host of great grandchildren, nieces nephews and dear friends. Tyrone and his friends believed the words uttered by Jesus Christ when his friend Lazarus died. He referred to it as sleep. He promised to raise him up and he did. John 11:11-14 ,23-25, 30-44 There will be a resurrection by Jesus Christ as he promised and demonstrated while on earth . John 5: 28, 29. Acts 24:15 We look forward to seeing his smiling face and strong body shortly.